If you thought the Q50 was brilliant, it’s time you took a look at the more practical and all weather, family-friendly Infiniti QX50. Infiniti’s playing the one-model game with the Infiniti QX50, and it’s nothing short of a brilliant plan. Infiniti did a fab job with the sedan version of the Q50, but the 2016 Infiniti QX50 takes it to a whole new level. This sporty compact utility vehicle from Infiniti is equipped with a 3.7L V6 engine that produces 325 horsepower and 267 lb-ft of torque. Said engine is paired with a 7-speed automatic that offers Adaptive Shift Control as well as manual shift mode and downshift rev-matching. A blast to drive, the QX50’s standard AWD -- along with Infiniti’s Snow Mode -- setting ensures all-weather confidence and practicality. The 2016 QX50 offers up roughly 527 litres of trunk space, but that doesn’t mean it feels like a lumbering, large SUV. 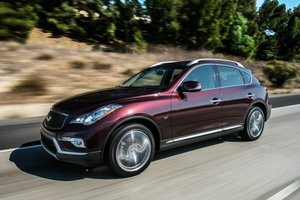 Actually that’s very far from the truth; in fact the 2016 Infiniti QX50 is much more car-like than you might expect, and that’s mostly due to its vehicle-speed-sensitive power steering and independent double-wishbone with coil springs over shock absorbers along with a stabilizer bar up front. 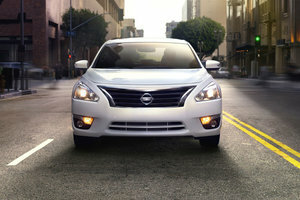 There’s also an independent, multi-link with coil springs over shock absorbers and a stabilizer bar in the rear. It’s all those bits and pieces that make the QX50 handle and feel the way it does on the road. This CUV offers a dynamic, sport drive unlike any other compact crossover on the road today. 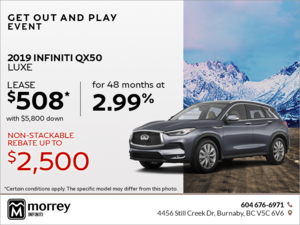 Step inside the 2016 Infiniti QX50 and you’ll discover amenities and technological comforts such as heated front seats, leather, an optional Bose 11-speaker premium audio system, USB connectivity, 7” colour information display screen, standard rearview monitor, keyless entry and start/stop functionality, optional Around View Monitor with front and rear sonar system for parking, as well as optional Distance Control Assist and Intelligent Cruise Control. Truly, this luxury crossover has everything you’re looking for, and more. While the Q50 truly swept the industry off its feet, the QX50 does that and more with the added practicality of a CUV with interior space and amenities, along with a raised ride height. For those with more cargo needs and weekend plans that venture beyond the city limits, the 2016 Infiniti QX50 is definitely a vehicle you need to consider. The 2016 Infiniti QX50 truly is a harmonious blend of everyday CUV practicality and sedan drivability that offers a dynamic and sporty performance on the road. 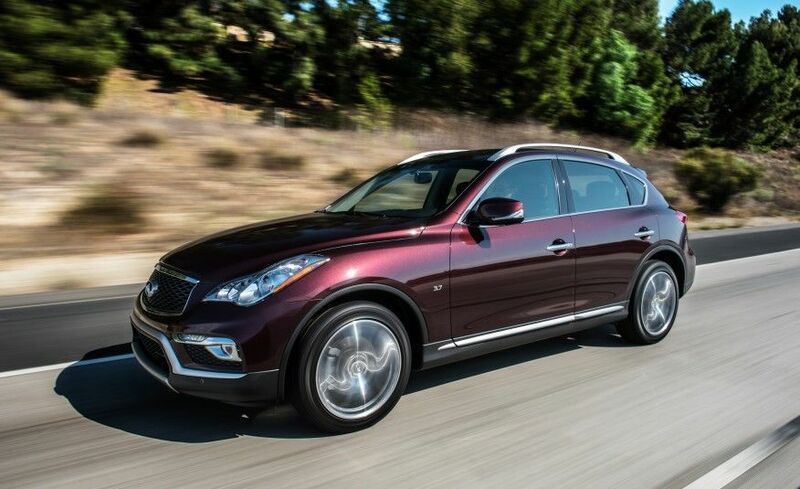 To find out more about this well-rounded CUV, head down to your local Morrey Infiniti to speak to one of our experts. And don’t’ forget to book a test drive, too.